Hey NTX folks, to save on shipping, I recommend grouping up purchases (unless you just like paying extra). So post what type, print, color, size and quantity and we can see about doing them in groups. Last edited by Creto; 03-17-2011 at 04:32 PM. Last edited by Riley Craven; 03-02-2011 at 09:30 AM. 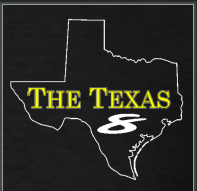 You do realize that the "light" design on a black shirt will cause the black texas outline on the front, as well as the black text on the back, to not be (very) visible. While you could see it on the purple, you won't on the black shirt. The "light" design is for "light" colored shirts. The "dark" design is for "dark" colored shirts, so yes, you did specify "light" for your "dark" black shirt, but I'm thinking you're not going to be happy with the result. As to the preview question, just click the color and it will update the image. You are a lazy old man, aren't you? Also edited my original post in this thread. oh wow, that's a cool design! can i order the shirt even if i don't go?? why are you all you tx peeps getting "heavy" shirts?! it's hot here!! Heavy is a bit of a misnomer. It's a slightly thicker/better grade than the lighter shirts. It's by no means a very heavy shirt that you wouldn't want to wear in the summer. And you are welcome to order a shirt, although we'd love to have you join us. Not sure which site you're talking about. 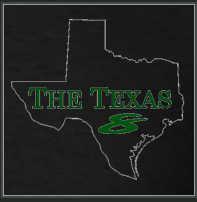 It's linked in the first post, as well as being linked and has its own section in the main Texas 8 thread. ah ok, that actually helps! Call it two weeks, so 3/16. Delivery time shouldn't be that long, but I would rather be safe than sorry. Is Waco part of north texas now? Ok So I spent some time with the preview thingy today. And I see what your saying about the designs on light vs dark colored shirts. I didn't realize the green was more of a dark forest green instead of bright lime green. With that being said I can't in good faith do the purple on yellow combo to my wife. At least the purple on green looks mardi gras ish lol. so change the Purple to light colored design. Please and thank you! Just as a heads up, I do not know how much of that outline you're going to see for the green version on a dark shirt. Haha sometimes the best sollution is usually the simplest LOL. Last edited by Riley Craven; 03-03-2011 at 09:34 AM. Yeah, I would ask the wife! Some would argue that asking your wife would be the simplest in this situation.